Christmas is not over yet. DxO editor, specializing in photography software offers until tomorrow December 31 DxO Optics Pro 6 Elite. Just enter their email address on this page to receive a free activation key and download the application on Mac or Windows. DxO Optics Pro 6 Elite is a good competitor to Aperture and Lightroom used to process RAW files. It is not the latest version (dating to 2009) as DxO Optics Pro is now in its ninth version, but the software has not aged too badly and it works on Mavericks. The complete list of cameras supported profiles is available there. Note that the license offered does not move to a higher version at a special price. 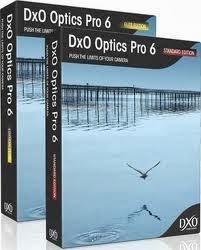 DxO Optics Pro 9 is sold € 99 in the Standard Edition and 199 € in elite edition (promotional rates until tomorrow) . Another promotional campaign ending soon (January 1) on the Millumin; an application for the video mapping for the Performing Arts. It is sold with a discount of 20% which puts the price at € 479 instead € 599. Several videos show the tool running, alone or through its plug-in After Effects.